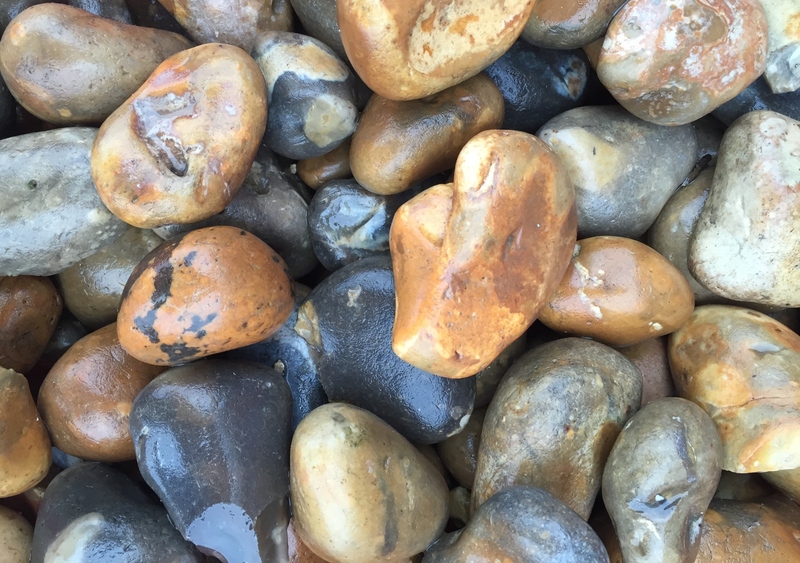 Pebbles are used for paths, anti pedestrian or decorative purposes. Covers compost of potted plants. Often used in and around garden water features.